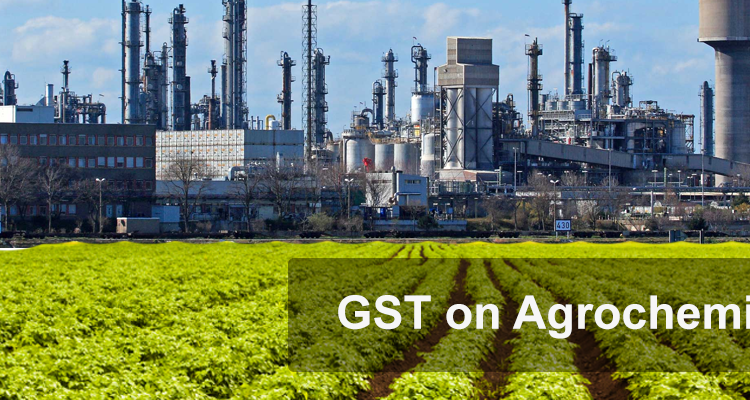 The long wait for India’s landmark tax reforms, Goods and Services Tax (GST), is over and the industries in various sectors including agrochemicals have geared up for the changes that would be resultant of the GST. The two major segments of agrochemicals have different tax rates under new tax regime;chemical fertilizers are to be taxed @12 % and pesticides @18%. For fertilizers, the proposed tax rate is higher than 0-8% Value Added Tax (VAT) before GST roll out, depending on raw materials used and in which states the products are sold. In addition, proposed 5% GST on road transport could further escalate retail prices as transport of fertilizers has been hitherto exempt from service tax. As most states did not levy any VAT on micronutrients, organic manure and biofertilizers, the 12% GST rate meant a rise in retail prices of these minor fertilizers. After discussion with industry and considering the fact that fertilizers are an important agri-input across country, GST council revised the tax rates to 5%, which will bring relief to farmers. 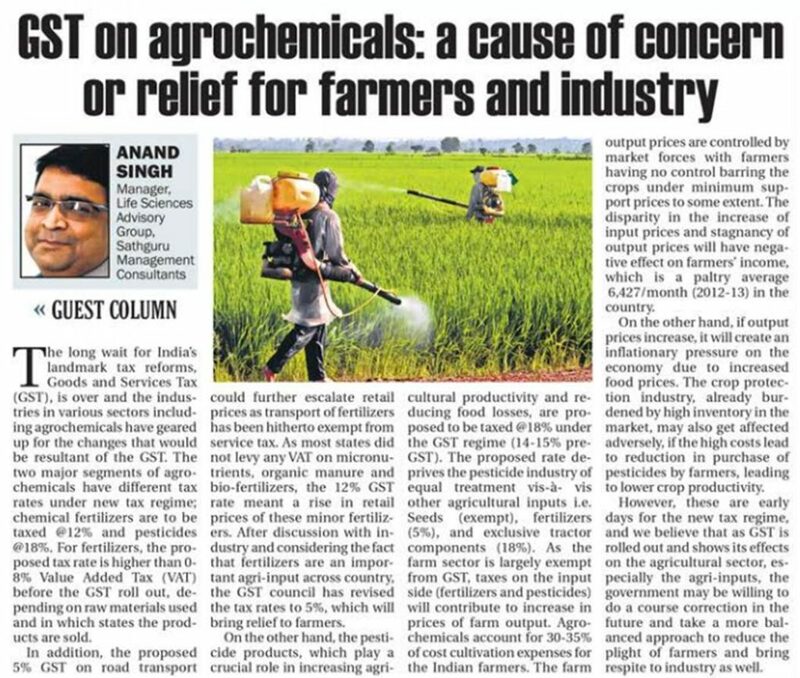 On the other hand, the pesticide products, which play a crucial role in increasing agricultural productivity and reducing food losses, are proposed to be taxed @18% under GST regime (14-15% pre-GST). The proposed rate deprives the pesticide industry of equal treatment vis-à- vis other agricultural inputs i.e. Seeds (exempt), fertilizers (5%), and exclusive tractor components (18%). As the farm sector is largely exempt from GST, taxes on the input side (fertilizers and pesticides) will contribute to increase in prices of farm output. Agrochemicals account for 30-35% of cost cultivation expenses for Indian farmers. The farm output prices are controlled by market forces with farmers having no control barring the crops under minimum support prices to some extent. The disparity in the increase of input prices and stagnancy of output prices will have negative affect on farmers’ income, which is a paltry average ₹6,427/month (2012-13) in the country. On the other hand, if output prices increase, it will create an inflationary pressure on the economy due to increased food prices. The crop protection industry, already burdened by high inventory in the market, may also get affected adversely, if the high costs lead to reduction in purchase of pesticides by farmers, leading to lower crop productivity. However, these are early days for the new tax regime, and we believe that as GST is rolled out and shows its effects on agricultural sector, especially the agri-inputs, the government may be willing to do a course correction in future and take a more balanced approach to reduce the plight of farmers and bring respite to industry as well.